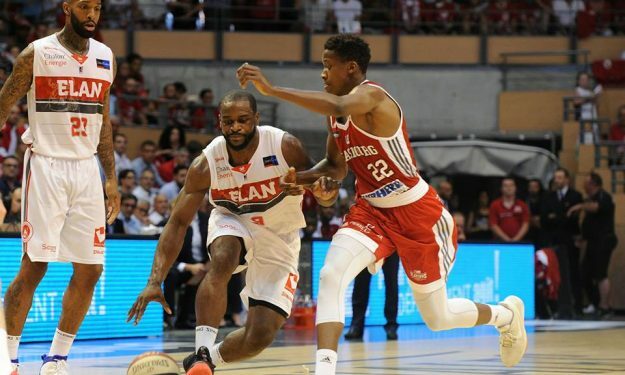 Elan Chalon are the new champions of the French League. The players of Jean-Denys Choulet prevailed over Strasbourg 74 – 65 in Game 5 of the Finals to win the series 3 – 2 and celebrate their second Pro A title in the history of the franchise. Cameron Clark posted a double-double of 14 points plus 10 rebounds while Jeremy Nzeulie, the hero of Chalon in Game 3, pitched in 14 points as well and won Finals MVP. Axel Bouteille was the one to fire the dagger that made it 72 – 62 with left, to seal a decisively fiery (28 – 18) final period for his team. Strasbourg (Paul Lacombe 15 points, six assists, five rebounds) were up 46 – 47 entering the fourth quarter but their opponents had 7 – 0 lead. With the score 57 – 54, Chalon rallied for a 12 – 3 run and never looked back. Almost 16 hours after being selected by the New York Knicks with 8th pick, Frank Ntilikina (4/4 2-pointers, 0/2 from beyond the arc) scored nine points, grabbed two rebounds and dished out three assists in 24 minutes he spent on the floor during his final game in Europe before heading to the NBA.